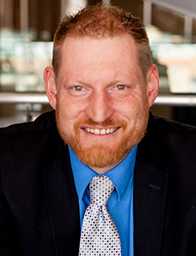 Dan Frost - The Frost Group - Medicine Hat, Alberta | Raymond James Ltd.
Born and raised in Medicine Hat, Dan joined his father in the Frost Group from a background in the oil and gas and auto industries. Since joining the team in 2007, Dan has held a variety of roles from an administrative assistant, financial associate, and now as a second generation financial advisor, having taken over from Keith Frost in 2013. In addition to working with existing clients, he welcomes new clients. With first hand experience working in a family business, he is committed to the business of families. Dan is very driven; he loves progress and is committed to his community and wants to see it thrive. Dan and his wife Lisa have three children, and his family is his main passion, and he gives back to the community through his active involvement with the Kinsmen Club of Medicine Hat and Chamber of Commerce. Empowering clients to reach their Dreams! Assisting business owners with cash flow, group benefits, estate planning, etc.